4.What is your payment terms9 A: 30% deposit in advance and 70% balance before shipment. 5.Can you send free samples 9 A: Yes, free samples are available; you just need to pay the express fee. You can provide your a/c like DHL, or you can call your courier to pick up from our office. We can provide the certification for you or sent it for testing. You will Get the sample photos or real sample according to your demand in the shortest time. 4. Please Inform us if the samples approved or need to revise. 11 YRS Guangzhou Unitgift Arts And Crafts Co., Ltd.
8) What kind of payment terms is fine with your company9 Usually 30% for Deposit and the Balance before shipment. Forth, if printing pattern and logo are demaned, we need to charge screen printing fee in exception to the tooling fee. Fifth, we can refund the proofing fee and printing fee unless our costomer place an order for more than 10,000 pieces. 2 YRS Shenzhen Sourcepro Technology Ltd.
Alibaba.com offers 4,257 rubber card holder products. About 24% of these are card holders, 14% are mobile phone bags & cases, and 7% are lanyard. 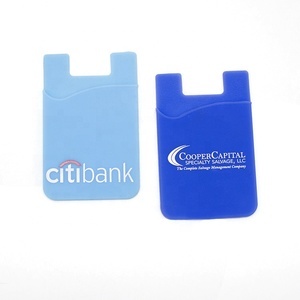 A wide variety of rubber card holder options are available to you, such as pvc, pu, and leather. You can also choose from free samples, paid samples. 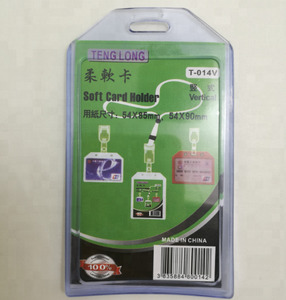 There are 4,257 rubber card holder suppliers, mainly located in Asia. The top supplying country is China (Mainland), which supply 100% of rubber card holder respectively. 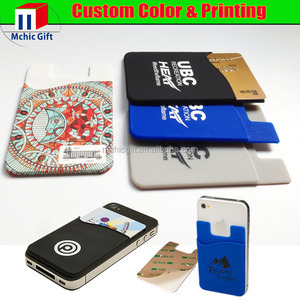 Rubber card holder products are most popular in North America, Western Europe, and South America. You can ensure product safety by selecting from certified suppliers, including 725 with ISO9001, 442 with Other, and 189 with BSCI certification.